What’s the Project? 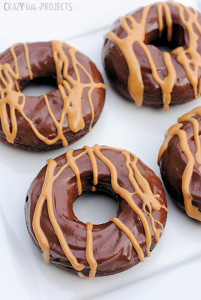 You’re going to love this easy donut recipe! 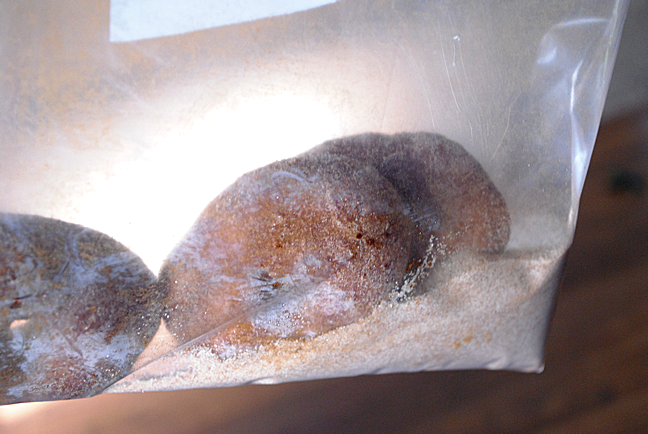 Only 3 ingredients needed to make these homemade donuts and they taste amazing! But anyway. I know what you love about Fall. Other than the leaves and the cooler temperatures and that feeling in the air and the warm clothes and the pumpkins… You love the food, don’t you? Me too. Fall kicks in and I bake. Nonstop. Until January hits. 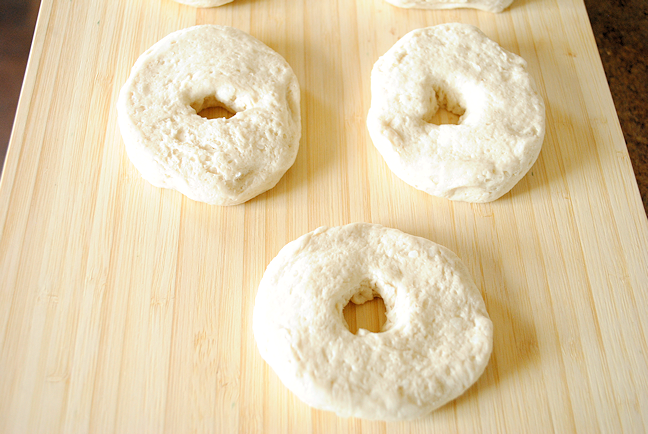 Today I am sharing a super easy donut recipe. 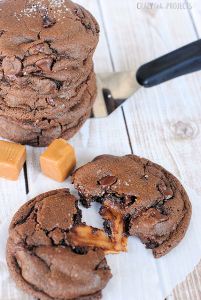 Two or three ingredients is about all you need to make these beauties! 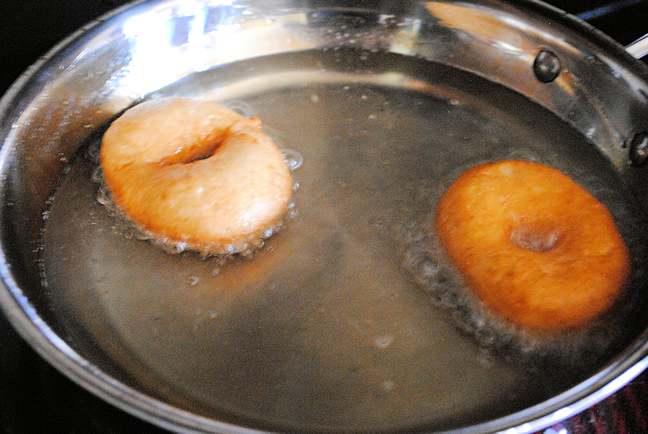 One of my family’s favorite traditions is to make homemade donuts each Fall. 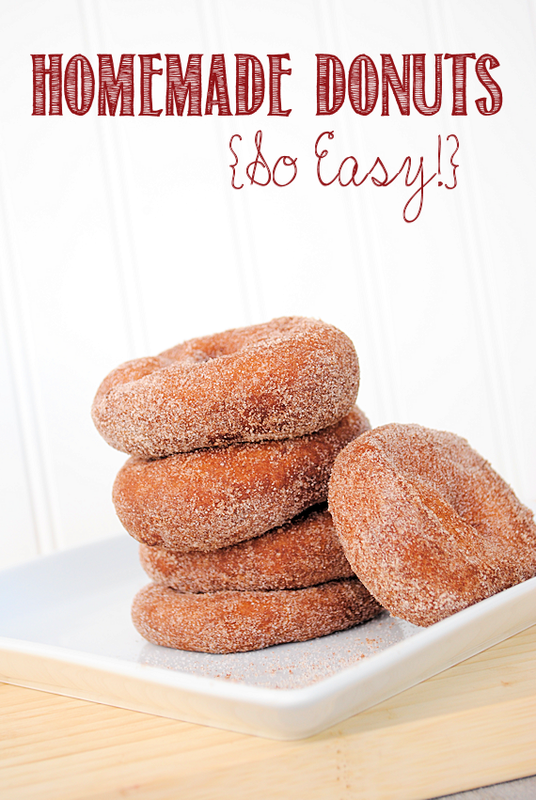 These easy donuts are amazingly simple and they taste equally amazing. I promise. 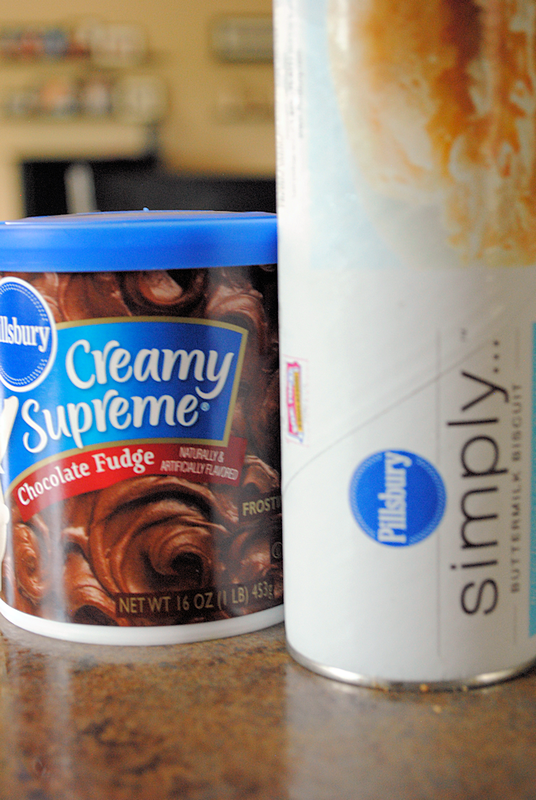 You can cover them with cinnamon sugar, powdered sugar or chocolate frosting. I can’t even decide which is my favorite. I love all three. 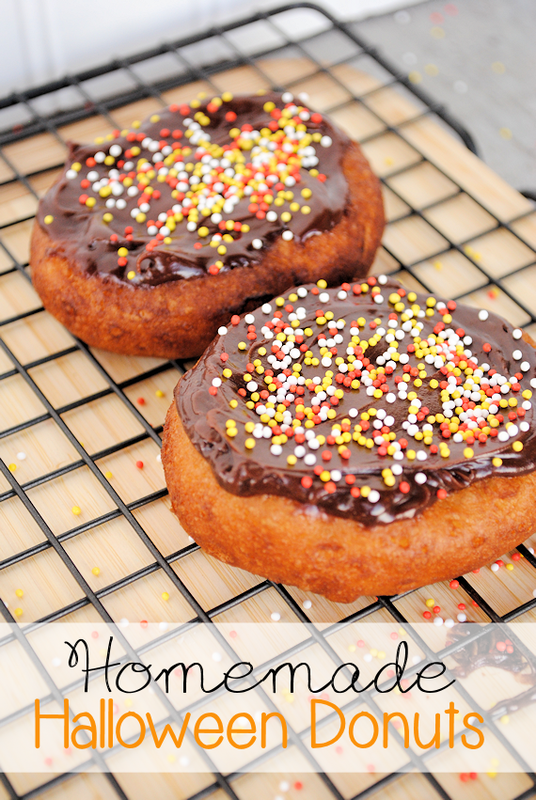 These homemade donuts are a fun family tradition and they are super easy to make! Fry up some biscuit dough, cover with toppings, and you’ve got a great treat! And let them cook, flipping them after a few seconds. You want to make sure that the oil isn’t so hot that they cook on the outside really fast or you will have doughy centers. So make the heat hot enough to cook them, but they should take a minute or two to cook fully. And that’s it! So easy and I promise, they taste so great! This is a great tradition in my family. One of my favorites. You’re going to be surprised at just how good these little guys taste. 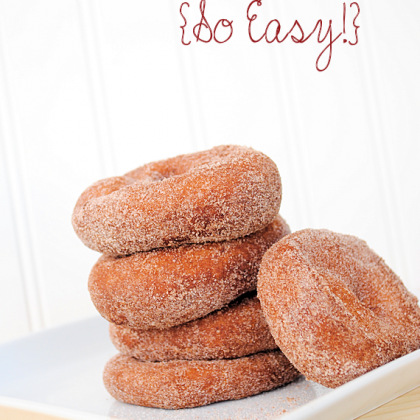 I hope you love making this easy donut recipe! 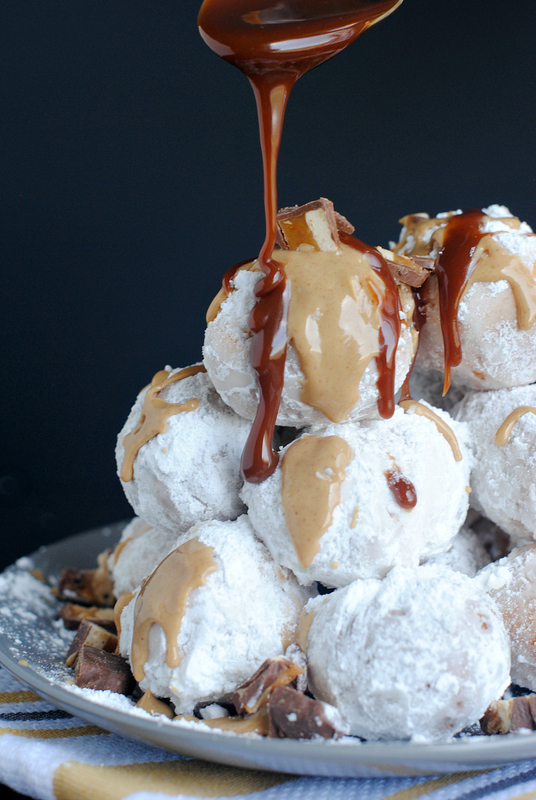 What a great way to make donuts, and be able to enter a contest all in the same day. Wow! Perfect timing for these comfort recipes. Thanks! I can’t believe that you used biscuit dough to make these. How cool is that? I want to try it right now! Looks so yummy Amber – who doesn’t love donuts?? What a FANtastic giveaway!! 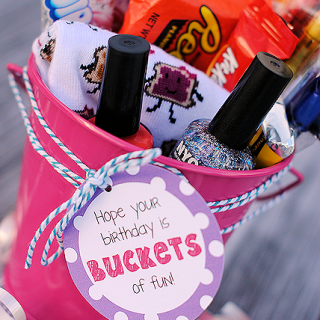 You have great tips and an amazing blog. Thanks for the chance to win. 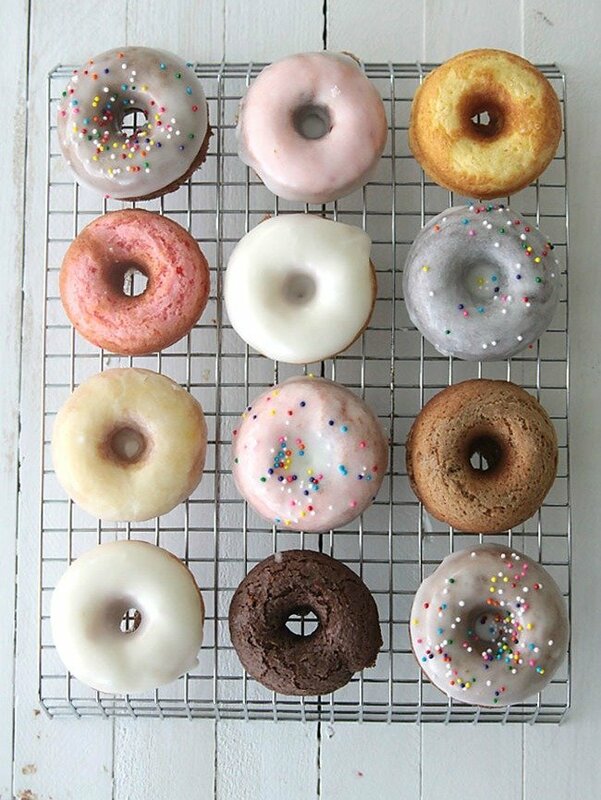 Such an easy way to make donuts! My husband made these when he was a kid, and swears by them. 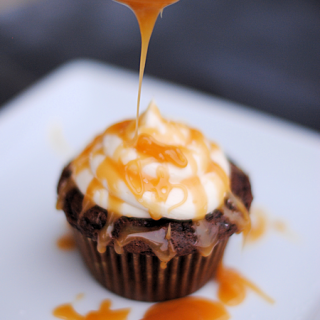 I make these all the time….my kids LOVE them!!! More flavorful IMO than donut shop ones or bought! Can I make homemade biscuits? Wow. I am going to post this link on a food allergy support group … so many of us practically kill ourselves looking for egg free, peanut and tree nut free donuts … so many of our kids have NEVER EATEN A DONUT! My daughter is going to be in absolute heaven when I make them next week for the last day of school. My mom use to make us donuts from canned biscuits when I was a kid in the 50’s. She would roll out the biscuit and then twist it before dropping them in the pan to deep fry. When they were done she would roll them in cinnamon and sugar mixture. This was the poor mans donut. We never knew what a donut from a bakery was. We don’t have ready make biscuit mix in the UK – are there alternatives? Or a biscuit mix recipe? These look great though! I’ve ever using this recipe all along to make Zeppolies. ya know the small round in ball form donuts ,Once they were done I’d place then on a paper towel yo absorb done of the oil and I’d sprinkle a generous amount of powdered sugar all over them! It was like having the infamous San Genaro Feast right right there in my own home!